To keep moving, is the mantra! What happens when you receive immense gratitude and respect from people across the globe? There are expectations and a constant need to innovate things in and around you. That’s exactly what’s happened to me – it kept me working towards coming up with new things in and around the culinary world. I have been constantly trying to raise my bar – be it with my epic show ‘Khana Khazana’ on television, restaurants across the country and on foreign soil or range of ready-to-use masalas, pickles and chutneys. Done my bit for women empowerment with ‘Wonderchef’ cookware (solely run by women!) and fulfilled my dream of running a 24×7 food channel ‘FoodFood.’ And I must say with each step, the appreciation and love from people just kept increasing! Into the stimulating world of culinary, food today is not just limited to taste and smell, but goes beyond perfection. People today, want to enjoy cuisines served with great presentation that is much more enhancing and brings sheer pleasure to eyes. After all, you eat with your eyes first! Keeping in mind this evolving trend, it was just the right time for me to foray into a segment. And what better platform could I’ve possibly got than the Homedécor, Gifts & Houseware (HGH) Trade Show 2015 to finally venture into this direction. In collaboration with Trinity Kitchenware, the SK Brand will be now responsible in actively seeking licensing alliances with manufacturers, retailers, e-tailers and traders in the Lifestyle Houseware category. Also, Sanjeev Kapoor branded Table and Kitchen Linen and Cutlery products aim to bring the much-needed freshness into this aspect. Hence, day one, i.e. 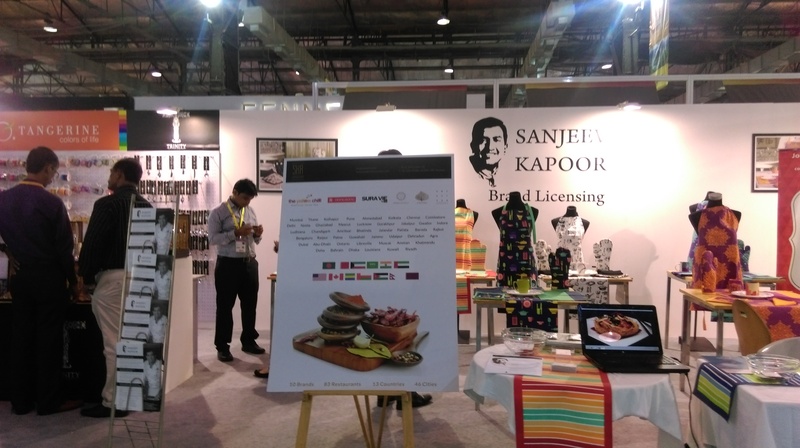 July 14, 2015 was marked by the official launch of Sanjeev Kapoor’s ‘Tangerine’ range of lifestyle houseware products in a grand press conference. Wouldn’t have been possible without the love and support of my fans, followers and the ones who have always believed in me! The SK Brand promises to enhance your entire kitchen experience and bring life at ease – from cooking to the way you present your food! With this and lot more, we wrapped-up 3 days of engaging and exciting things at the show! As always, kudos to my team who put-up a great show! 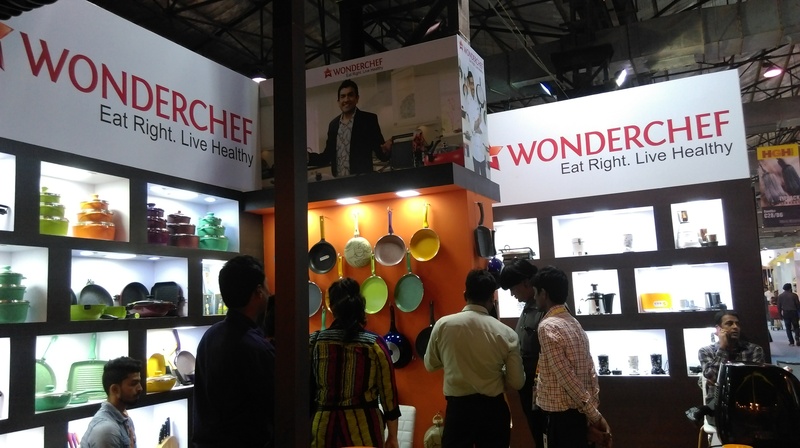 Everything from food demos to Wonderchef products to SK Restaurants to FoodFood’s Lounge embraced the show with their presence. Efforts by my teams at different verticals are definitely paying off! Under the guidance of Chef Anupa and team, we quite easily managed to add a tadka of food with our ‘Live Demos’ of International Delicacies. 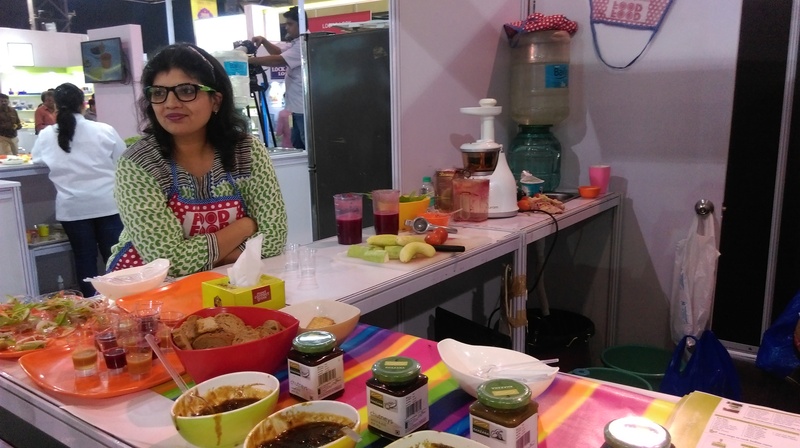 With this, Wonderchef’s Hurom Juicer was the star – people just drooled over the fresh detox juices that it made in a jiffy! 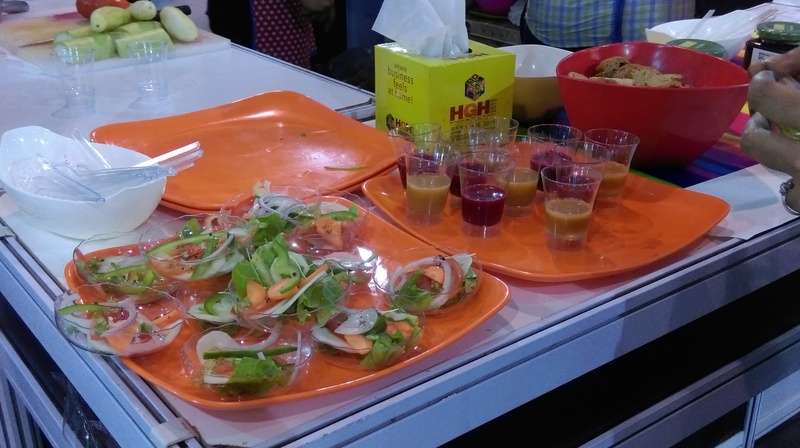 For the health conscious, an array of micro greens were also displayed which we used in our salads and juices. The main aim was to educate people and encourage them to use these tiny-greens (that can be easily grown at home!) to retain nutrition in their everyday food. 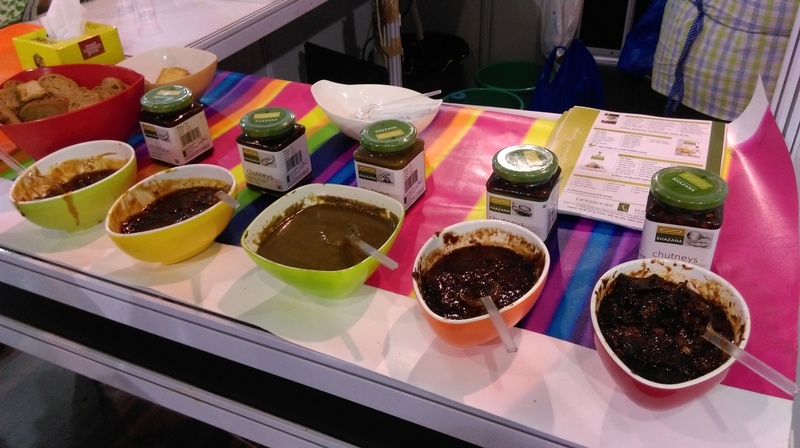 Besides this, Sanjeev Kapoor Khazana range of chutneys spiced-up the bland breads and salads! Response was massive, a big shout-out to all those who made it possible! 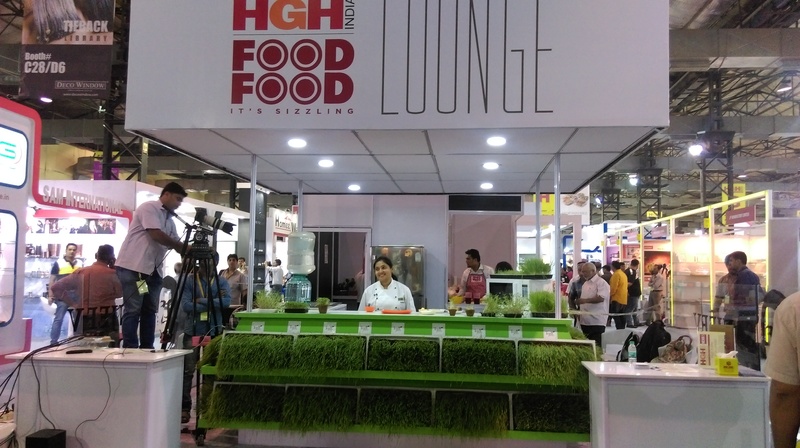 From health to cuisines to kitchen gadgets, tools and concepts, the HGH 2015 notably covered all the aspects associated with the culinary space. With this power-packed event, I am definitely looking forward to the next one! Back to the list of the 10 most expensive ingredients in the world. Ever dreamt of a fungus with a price that touches the sky (almost!)? Yes, it’s the Matsutake mushroom a.k.a the ‘pine mushroom’ from the Pacific Northwest as well as Japan. And that’s why we are putting it at the second spot just after the rare ‘Kopi Luwak.’ The fact that Japan actually imports these mushrooms from other regions that produce them explains them being in great demand inspite of being uncommon and costly! 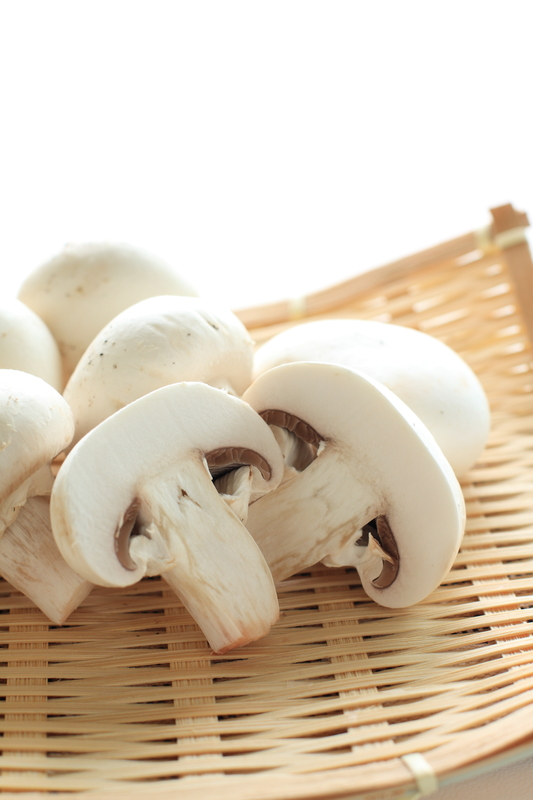 To begin with the basic facts – these mushrooms dwell under the base of Japanese pine trees that are 20-60 years old. Possess a texture that’s meat-like with a robust and spicy flavour (makes them great with chicken and fish). The health benefits are not less – rich in vitamins and proteins and low in fats. According to the Japanese Guidebook, the approximate cost of Matsutake mushrooms in 2014 was $1000 (INR 63630.45) per pound. Though there are cheaper varieties available in Northern California, Canada, Oregon, Idaho and along the Washington coast. Talk of mushrooms and sensitivity! The Matsutake is such an important mushroom for the Japanese that it is often gifted in wooden boxes in a ceremony to celebrate autumn. These are also common as wedding and corporate gifts. In fact, it is believed that the ones that are collected to be sold in the markets of Japan should never be trimmed. Sautés and tempura fries, as this the best way to have Matsutake mushrooms. This way the odour literally vanishes! Apart from the above, use these in dishes that have loads of butter or cream! These pair well with them. Dry these out, powder and flavour your dishes with it. Traditionally, these can be used alongwith Japanese rice wine ‘sake,’ kelp and soy sauce to cook meals. For best results, don not overcook! Keep it simple and serve when they are still firm. You won’t find the Matsutake in Indian markets in large quantities even today, and especially if you want the fresh ones. So, make sure if you get your hands on these, preserve them well to keep them for longer. To preserve, you can either freeze these after dicing or slicing. Or just wrap them whole in aluminium foils, put in plastic bags and freeze. As of now, the best thing that you could do is go search for these and try dishing-up some cool recipes. 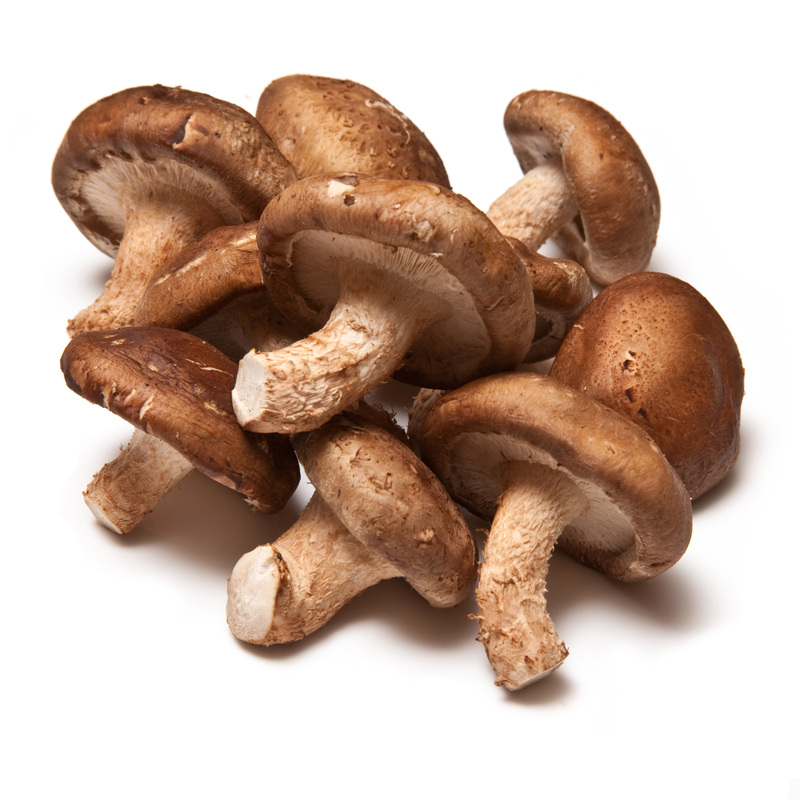 For keeping it real simple, try a Matsutake Mushroom Chowder or probably a Matsutake Mushroom Risotto! It’s time for me as well to get my hands on these and try dishing-up something desi with these. Innovating as always! 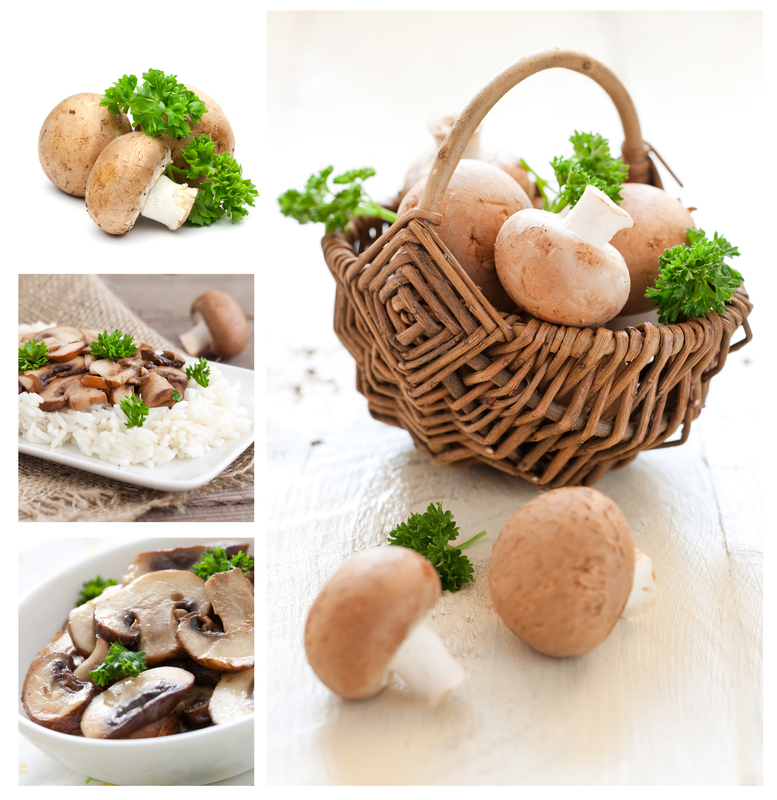 Till then, if you really manage to create a marvelous Matsutake dish, do share the recipe alongwith the images with us. We will be more than happy to receive them! And of course we will be waiting to know from you about your expensive experiences with food and ingredients.